WICHITA FALLS — In the early months of 2015, driving around Wichita Falls, filled with dust and wilting plants, was a depressing experience for resident Larry Ayres. The nights were even worse; he was sleepless with worry about what the city running out of water could mean for his family and his local chain of car washes. Wichita Falls' corner of North Texas was enduring one of the worst droughts in its history at the time, leaving the reservoirs that supply water to the city barely above 20 percent full. If the combined levels of the reservoirs, lakes Arrowhead, Kemp and Kickapoo, had dipped below that mark, the city would have been forced to shut off all public water. To stave off a city-wide water shutoff, Wichita Falls residents were doing everything they could to conserve water. Mandatory restrictions limited nearly all types of public water use, changing daily life for residents. Now, as almost 50 percent of Texas deals with a drought that's still threatening to spread, water experts are recommending cities implement more comprehensive, permanent water restrictions — like the ones Wichita Falls used three years ago — to avoid the pains that emergency drought restrictions can bring. A new study by the Texas Living Waters Project, a coalition of several environmental groups, recommends Texas cities limit outdoor watering for residences and businesses to no more than twice per week. 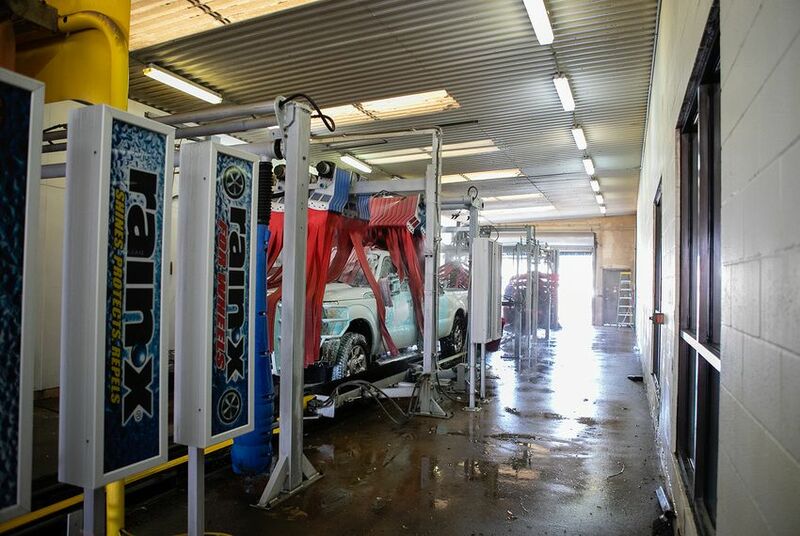 Ayres knows this better than most, as the weight of city-wide emergency drought restrictions were hitting All American Car Washes particularly hard. Ayres was forced to close his businesses two times a week during the drought’s peak, and city officials were threatening to completely shut down all car washes in the city for the duration of the disaster. This jeopardized the jobs of the more than 75 people Ayres said he employed in 2015 at the assembly line-style washes that nearly constantly douse dirty cars with water. On a recent afternoon, dozens of employees worked outside the chain's headquarters, hand-drying cars and operating the car wash. Residents faced a host of other restrictions, including a prohibition on watering their lawns and filling pools with city water and fines for households exceeding monthly water use limits. The city also underwent a massive campaign to educate residents on water conservation, said Mayor Stephen Santellana, who was then a city council member. Wichita Falls entered a period of record drought in 2010, and other parts of the state were soon in similar straits — 2011 was the driest year in Texas history. But while conditions improved in much of the state, the drought in Wichita Falls lingered until 2015. Since then, the city has implemented a slew of permanent water restrictions, and the state has loaned millions of dollars to local governments to update water infrastructure. But water experts say Wichita Falls and other Texas cities can do more to prepare for a future with larger populations and less access to water. The recent study by the Texas Living Waters Project, National Wildlife Federation, the Lone Star Chapter of the Sierra Club and the Galveston Bay Foundation found that Texas cities could save up to 460,000 acre feet of water per year by following certain conservation measures, including twice-per-week watering restrictions. That's 11 percent of the water the cities are projected to use in 2020. Texas is home to four of the five fastest-growing cities in the country and is expected to double in population by 2050, according to U.S. Census Bureau data. Even with that population growth, the 2017 State Water Plan says up to 30 percent of Texas' future water needs can be met through conservation, according to Elizabeth Fazio, who worked on the plan during her time as clerk of the Texas House of Representatives’ Natural Resources Committee. The Texas Living Waters Project study calls for a statewide education campaign to teach Texans the best water conservation practices. Also cited in the study are the six Texas cities that already limit residents to two days a week of outdoor watering: Austin, Dallas, Fort Worth, Frisco, Lubbock and The Woodlands. Wichita Falls currently allows residents to water their lawns on as many days as they like, but only from 7 p.m. to 10 a.m.
Russell Schreiber, Wichita Falls’ director of public works, said restrictions like those recommended in the study would cause water rates to balloon as the utility worked to offset reduced usage of the water being sold. City officials also cite the well-above-average reservoir levels, which are hovering around 90 percent capacity compared to the average capacity of 66 percent, as a reason why additional permanent restrictions are unnecessary. Santellana also said water use in the city has been below average since the drought. But two hours southeast of Wichita Falls in Frisco, the city limits residents to one day of watering per week, and officials have found their program to be a success. “Frisco, as well as a lot of area here in North Texas, is becoming the place to be, and showing people how much water they actually need to achieve the look they want (for their yards) has been important,” said Sean Aucoin, the water education coordinator for the city. Aucoin said he recommends similar restrictions for the surrounding communities in North Texas. He said watering restrictions have not caused water rates to go up, though rates have increased to pay for a new reservoir and water treatment facility. The fact that Texas cities can go from historic droughts to a deluge of rain in an instant highlights the need for stricter conservation efforts, Walker said. “If we can get used to being efficient and conservative with our water use, it will help in the future because our water will go further," she said. Wichita Falls lies just outside the region where extreme drought has gripped the Texas Panhandle and surrounding areas this year, leaving the city in no present danger of running out of water again. Still, like large swaths of the state, most of Wichita Falls is in a moderate drought or is considered abnormally dry. 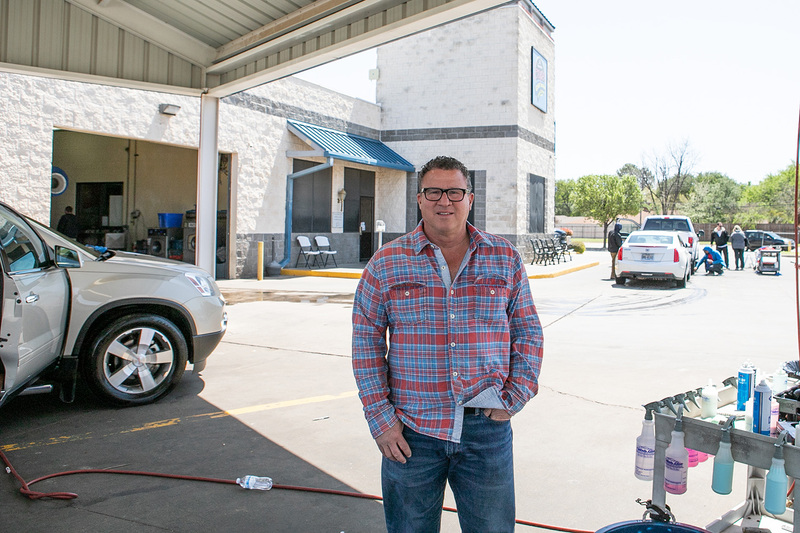 Regardless of what restrictions are in place in Wichita Falls, Ayres, the car wash owner, said he doesn’t think his community will ever forget how desperately close the city came to disaster. When the rain finally did return, completely pushing Wichita Falls out of the drought in less than a month, Ayres said it felt like divine intervention. Residents were outside “jumping for joy” in the rain that filled reservoir levels to the point of overflow and soaked the blue “Pray for Rain” signs planted in the dead yards of homes across the city. "If we had gone into summer without that rain, we would have run out of water without a doubt," Ayres said. "That rain really saved us. We have to make sure it never gets that close again." Disclosure: The Sierra Club and the Texas Living Waters Project have been financial supporters of The Texas Tribune, a nonprofit, nonpartisan news organization that is funded in part by donations from members, foundations and corporate sponsors. Financial supporters play no role in the Tribune's journalism. Find a complete list of them here.